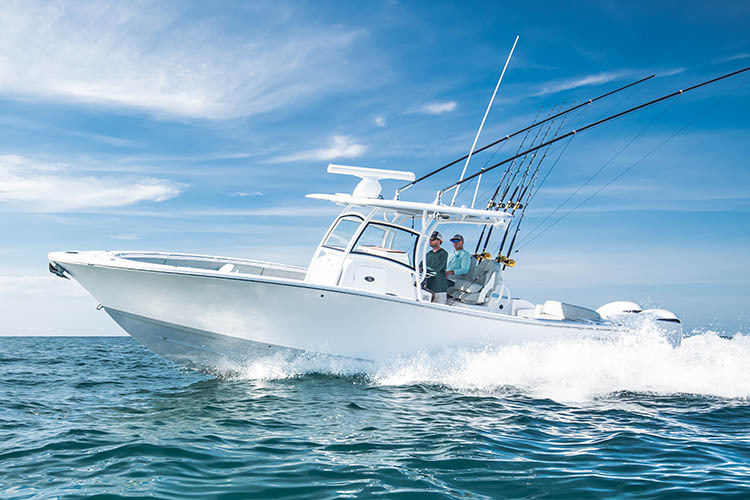 With a perfect blend of family comforts and angler-driven features, the Heritage and Open series are designed for offshore family fun. Ranging from 21 feet to 31 feet, they blend features and amenities only previously seen on boats much larger in size. Some of the highlights include Total Access Hatches for easy maintenance and storage, Side Entry Doors, Anchor Windlass Systems and single/twin engine options. 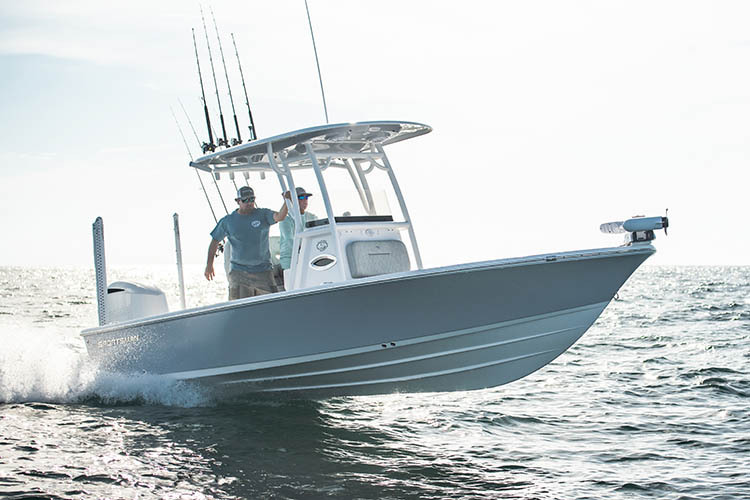 The features go on and on, making these models superior for offshore family cruising and fishing. For the more serious anglers. The Masters and Tournament series both offer unparalleled shallow water performance. Typically seen carving the more remote areas and finger channels, getting you where the big boats can't go. The Masters feature some of the same features as our offshore counterparts but with re-imagined bay boat layouts. 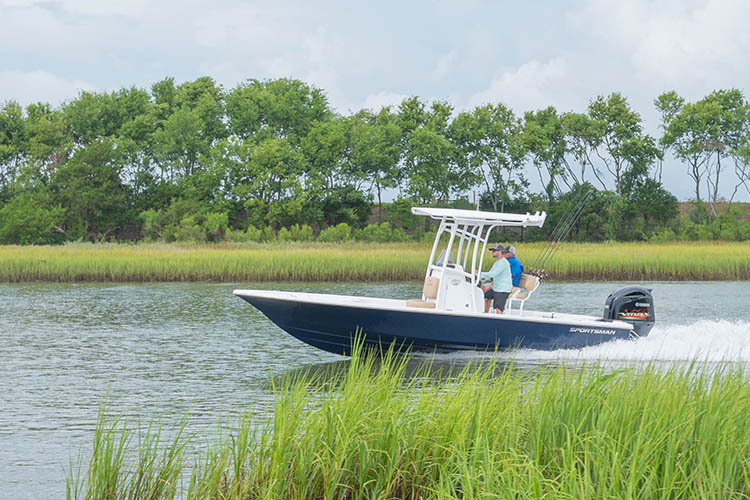 The Tournament has a more shallow draft, while still retaining the family comforts you'd expect from a Sportsman Boat. 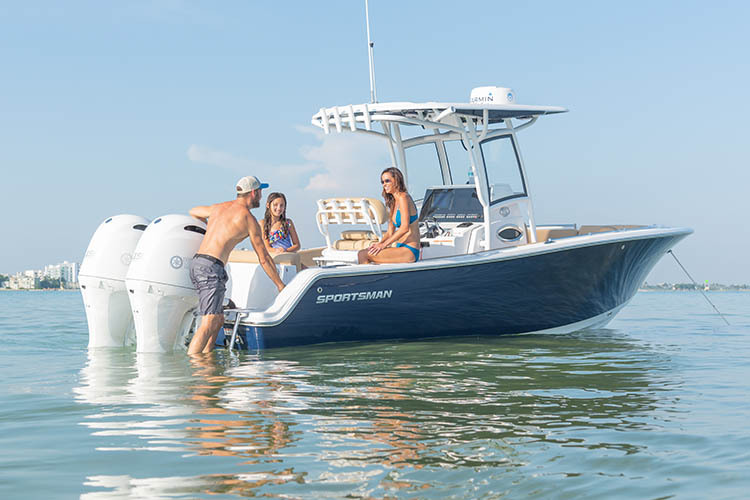 Shallow water performance with family smarts and comfort. For the tournament minded angler.